Well, I have actually been back for a couple of days now, but you know how long it takes to catch up when you have been away right? Well, for those of you who don't, the equation is this . . . for each week away, it takes two days to catch up . . . therefore, I am ahead of myself, because I should have taken six days! However, I couldn't wait, so I have to admit I have (ahem) cheated, and am posting two cards that I had made previously as I didn't want folk to get fed up waiting for something to happen on here. A while ago now, I did an online card class and one of the techniques demonstarted was 'masked stamping' and I made some cards using the technique. 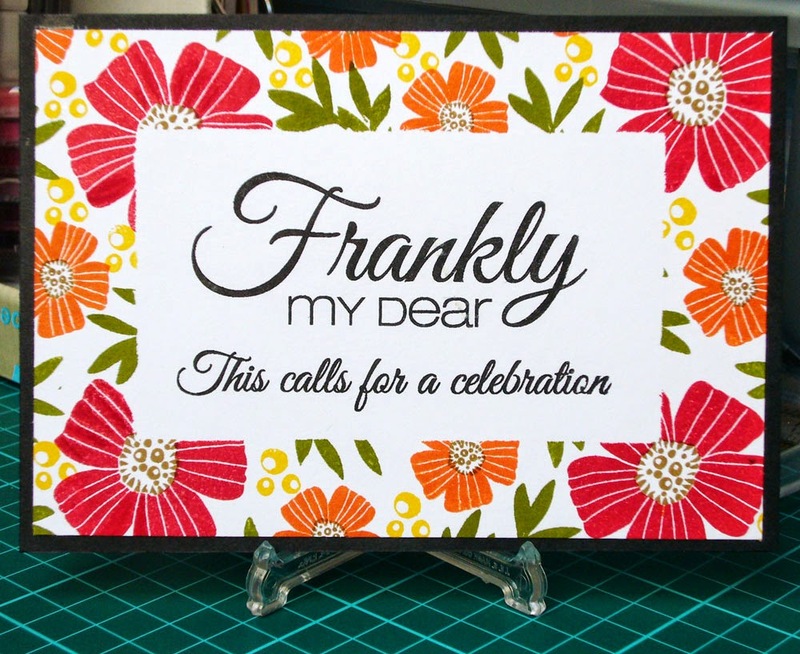 This was made by masking the center area off with masking paper and stamping a background using WPlus9 'Spring Blooms' stamp set and then removing the mask and stamping the sentiment in the center area with Cas-ual Fridays 'Frankly' stamp set. I was quite pleased with the result and being only one layer it is easy to post! 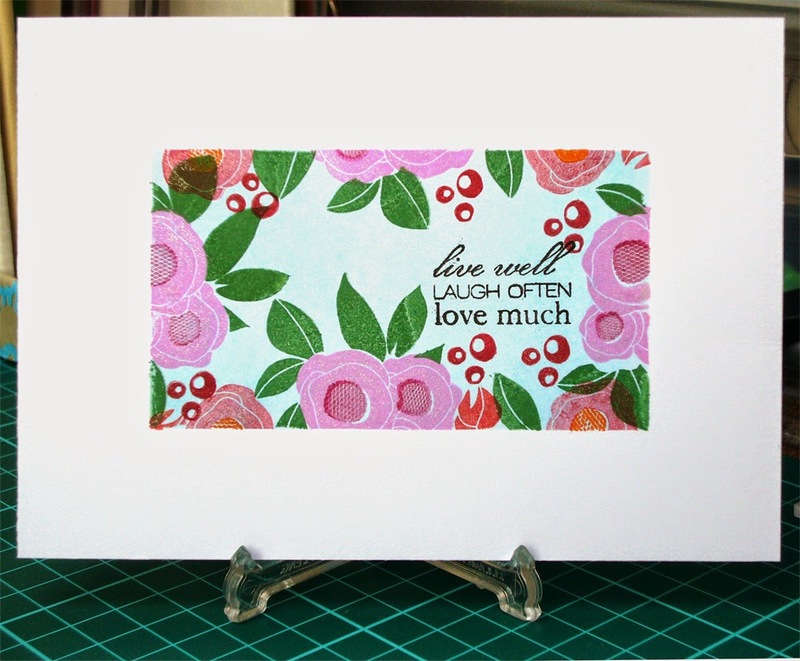 The second one was made the opposite way, by cutting the center of the masking paper out and stamping the background in the center, again using WPlus9 'Spring Blooms' stamp set and an old sentiment set that I think (but I can't swear to) was a Paula Pascual stamp set. Again, I was pleased with the result, but I must say that I preferred the first example above . . . let me know which you prefer.